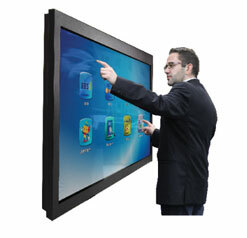 The LCD Monitor and Digital Podium turn an ordinary presentation into an interactive experience. This monitor has Optical Touch Screen Technology and turns a presentation or training meeting into an interactive workplace. With handwriting recognition, the presenter can write directly on the monitor and it will automatically capture it in type. And, it eliminates the need for a projector. LCD monitors are “Plug and Play so any computer with a USB port can be connected quickly and easily. 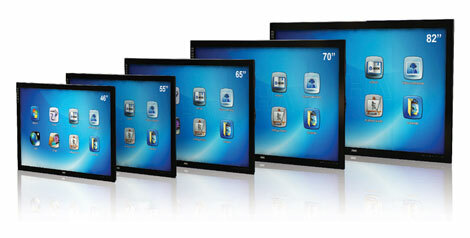 The multi-touch functionality allows multiples users to work simultaneously on the screen. Screen sizes are from 46” up to 82”. 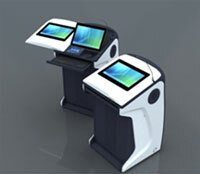 The Digital Podium is the world’s first dual monitor podium system. 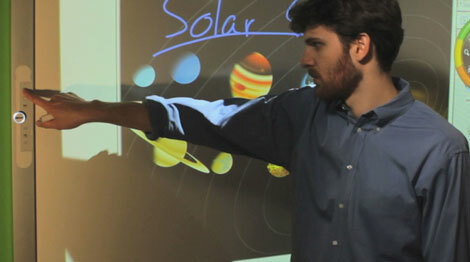 eBeam Enabled Solution markerboards help corporations and educators create, save and share interactive presentations. 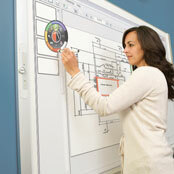 The durable porcelain board that accommodates handwritten notes and supplies powerful interactive tools, the eBeam Enable Solution markerboard enlivens presentations and enhances collaboration with ease. With pre-built partitions for cords and cables designed in the aluminum trim, Solution marketboards provide streamlined design and installation ease. Interactive note capture, annotations and remote meetings are simple and seamless.